Success! Lucas from Tanzania raised $1,369 to fund life-saving neurosurgery. Lucas's treatment was fully funded on December 25, 2017. Lucas’s surgeries went well, and he is doing so much better. The doctors started with closing Lucas’s spinal gap first, then went ahead and inserted a shunt to relieve pressure on his brain. He is recovering well but still under observation. 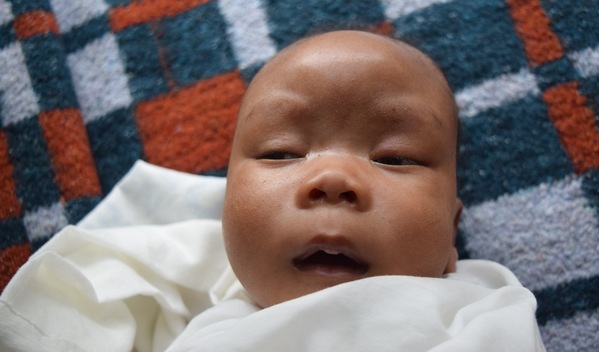 Only one month old, Lucas is a gentle baby boy who is his parent’s first-born child. His father works as a motorcycle taxi driver, transporting passengers from one place to another, while his mother stays at home, looking after the family and doing other home activities. The family lives in a rental house in eastern Tanzania. Lucas was born with hydrocephalus with a myelomeningocele. A myelomeningocele—a type of spina bifida—is a birth defect in which several vertebrae in the lower back do not close properly, leaving the baby’s spinal canal exposed. The spinal cord and its surrounding membranes protrude through the opening in the backbone, forming a sac on the baby’s lower back. As many as 90 percent of children with meningomyelocele also have hydrocephalus, a condition in which there is an accumulation of cerebrospinal fluid in the brain that causes the head to increase in size. Without treatment, Lucas will experience increased pressure on his brain, which can cause brain damage and ultimately death. There is also the risk that the sac on his back will become infected, leading to further damage to the spinal cord and possibly preventing him from walking. Lucas could not receive treatment earlier because there were no surgeons available at the hospital where he was born. In addition, his family did not have enough money to pay for the surgery that he needed. He was referred to Arusha Lutheran Medical Centre (ALMC), a care center of our medical partner, African Mission Healthcare Foundation (AMHF), for treatment and support. AMHF requests $1,369 to pay for two surgical procedures for Lucas. In one procedure—meningomyelocele closure—surgeons will place the spinal cord and nerves back inside the backbone and cover them with membranes before closing the opening in his spine. In the other operation—endoscopic third ventriculostomy—surgeons will create a bypass through a thin membrane in the bottom (or floor) of a specific region of Lucas’s brain. The cerebrospinal fluid will then flow up and over the surface of the brain and into the bloodstream. Lucas’s surgery is scheduled for June 21. Funding also covers the costs of ten days of hospital care, imaging, blood work, medicine, and 25 days of accommodation for recovery and rehabilitation. Lucas’s family is contributing $45 to cover additional expenses associated with his care. “I will be very happy and very thankful if Lucas gets treatment,” shares Lucas’s mother. Lucas's case was submitted by Joan Kadagaya at African Mission Healthcare Foundation in Tanzania. Lucas was submitted by Joan Kadagaya, Curative Medical Support Program-Partner Representative at African Mission Healthcare Foundation, our medical partner in Tanzania. 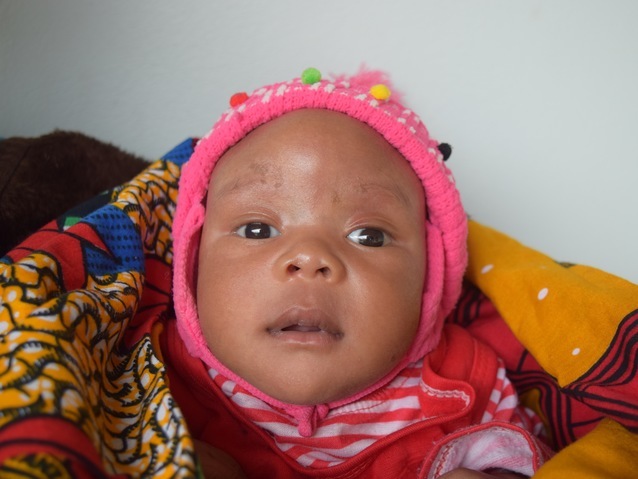 Lucas received treatment at Arusha Lutheran Medical Centre (ALMC). Medical partners often provide care to patients accepted by Watsi before those patients are fully funded, operating under the guarantee that the cost of care will be paid for by donors. Lucas's profile was published to start raising funds. Lucas's treatment was successful. Read the update. Lucas's treatment was fully funded.